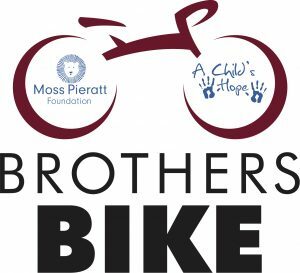 This summer, Moss’s grandfather, Bobby Jenkins, is embarking on ambitious challenge as he rides his bike alongside brothers, Raleigh and Dennis, across the United States to raise awareness and money for the Moss Pieratt Foundation. Fueled by love, the brothers will be biking from Seattle, WA to New York City beginning May 23rd. We hope you will consider showing your support by donating below and cheering them on over the next few months as they train and the ride commences. To learn more about Brothers Bike and stay up to date with their trip, please click here. Good luck, Bobby, Raleigh, and Dennis!! !